When you have any serious health condition, you immediately value ‘life as normal’ more than anything else. You take this life for granted, until you face it with a heart condition. Now ‘normal’ is the most precious thing you know. As a new company from an acquisition in USA, a rare opportunity existed to embed the benefits of brand-led design innovation across the whole business. The brand DNA was carried over in developing the product brand. A meaningful name was developed in conjunction with the logo to verbally deliver the brand core with a play on ‘liberty’. A delightful hook to those that realise. We’ve provided both brands a platform that authentically explains their values and strengths in an identifiable and ownable way. Investors, like all people need to see the future in order able to believe in it. 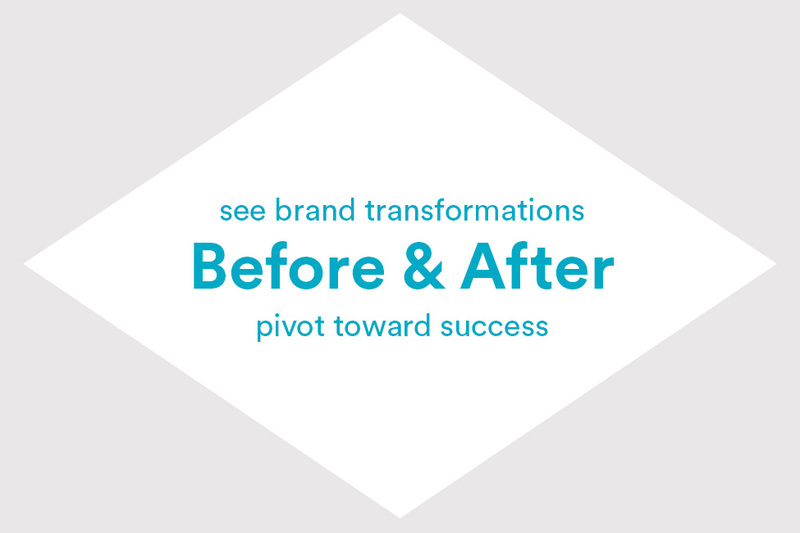 A rebrand creates that vision so you can begin working on it right away. In order to reach the core decision makers, National Cardiac commissioned a new stand design for the upcoming ACC show in Chicago 2017. 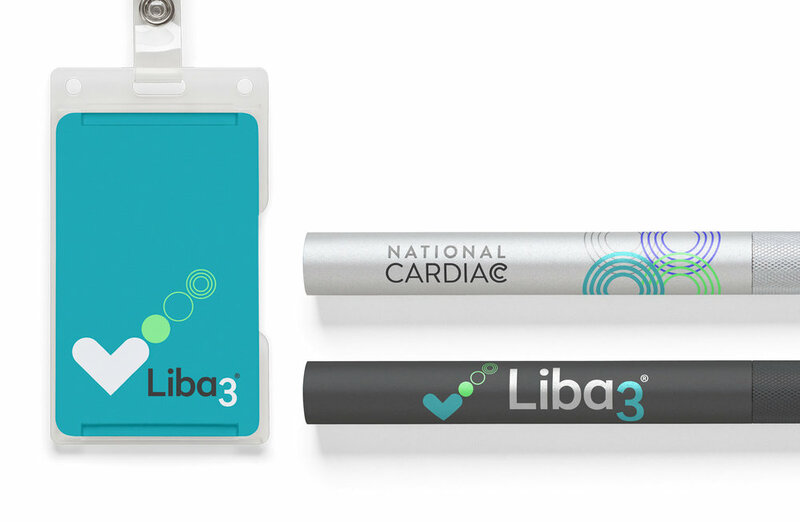 Challenge: Overcome the patient benefits of a tiny device to stand out in an open, busy and visually noisy environment like a trade show. 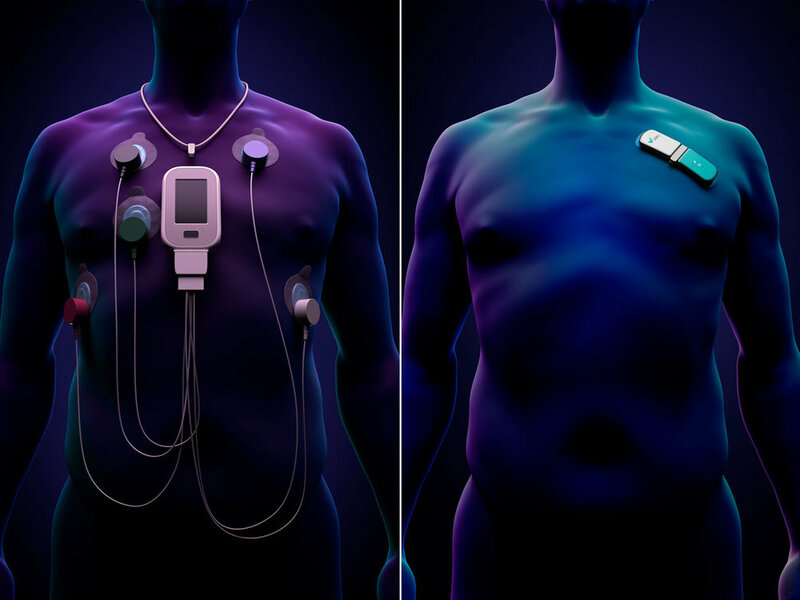 Designed to focus attention and draw people in to see the tiny chest mounted device. Large LED screens communicated with the audience from a distance, the overhead lightbox becoming a beacon at the event allowing people to navigate to and around us. With a direct and strategic connection between business purpose and customer needs. A brand designed to lead from the heart of the business and simplifying and empowering all decision making across the business.